From the “what will they think of next?” files comes a new pair of shades that you will definitely want to get your hands on. Heck, your eyes will even love them, and when people see you wear them they might even assume you have deep pockets. 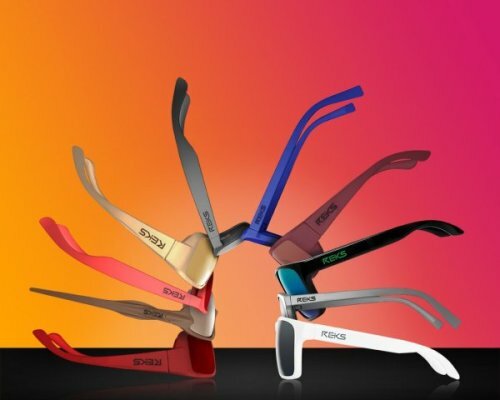 Called REKS, these new sunglasses that just hit the market hold many bragging rights. Reks Optics C/O Solarna, LLC in Boca Raton, Florida, is the company who spent days, hours and weeks developing these new and innovative shades that are slick and stylish on every level. Even better, these shades are revolutionary as they combine the highest quality shatter-resistant polycarbonate lenses with elegant, unbreakable frames made from advanced polymer. Once you get your pair you will want to put these sunglasses to the test. Go ahead, pull on them, stomp on them, throw them off your balcony, toss them out the car window, or chuck them off a bridge: you will see that it is impossible to damage these shades. These glasses will endure just about anything and they will always look brand new, no matter what. The features are endless with these new sunglasses. According to its team of inventors, REKS are lightweight, sturdy-yet unbreakable ? so you don't need to worry about dropping your sunglasses, stepping on them or tossing them around in your backpack, gym bag, school bag or travel bag. REKS provides a range of stylish options that go from slopes to fairways to city streets. When you put them on, you won’t even know you are wearing them – that’s how comfortable they are. These sunglasses have also been designed to eject the lens forward, adding more enhanced safety for those who sport them. And the lens snaps easily back into place. These new shades that offer amazing UPF protection should be a big hit on the market for a host of reasons. They are unbreakable, comfortable and downright stylish. And another big selling point with REKS is that they are more than affordable and yet look very expensive. They won’t cost you more than $60 (USD) to own a pair, and any ‘sunglasses connoisseur’ might even suggest they are priced anywhere from $200 to $600. Now you can look stylish with your shades without breaking the bank. So, when are you getting your REKS on? Canada Is Being Tasked With Leading The Charge Against A New Generation Of "Killer Robots"